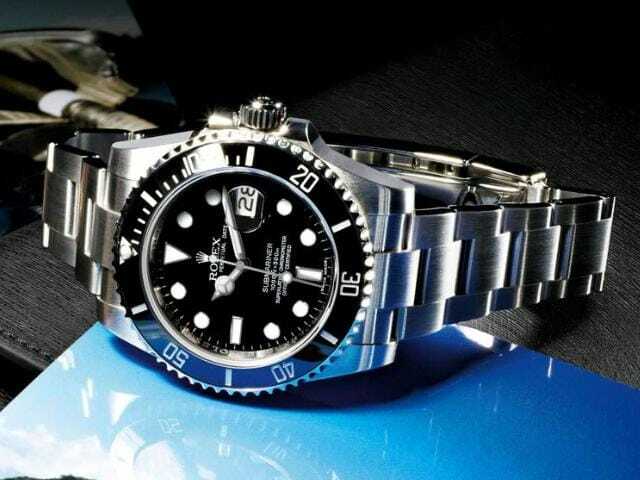 The history of the Rolex Submariner is legend in Rolex watches. But why is this sports watch also heralded as one of the most famous elegant dress watches of all time? 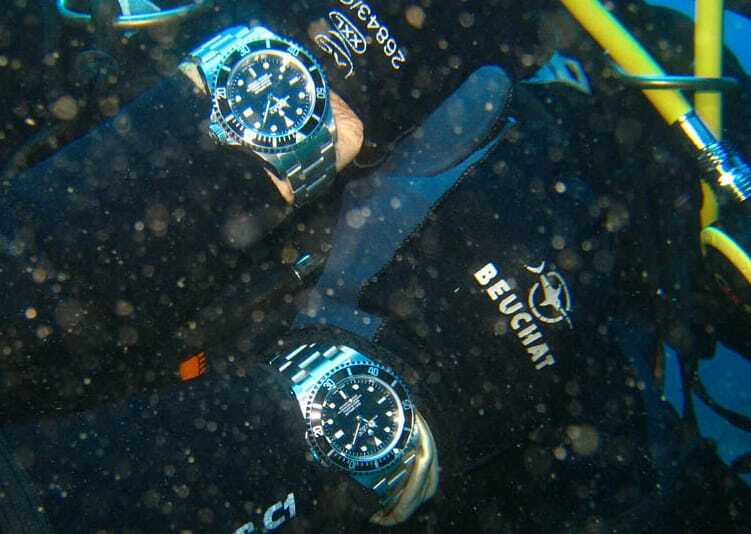 Rolex Submariner History will continue to expand overtime. The Rolex Submariner is continually taken to new depths. Perhaps it has something to do with the famous names associated with this timepiece: Jacques Cousteau, James Bond, Sean Connery, Thor Heyerdal , the British Royal Navy and COMEX (a famous French expeditionary diving company) to name just a few. Beyond the marketing hype, however, the Rolex Submariner just has that timeless sophisticated design that true watch aficionados want to see when they look down at their wrist several times a day. The Submariner is intended for the deep waters. 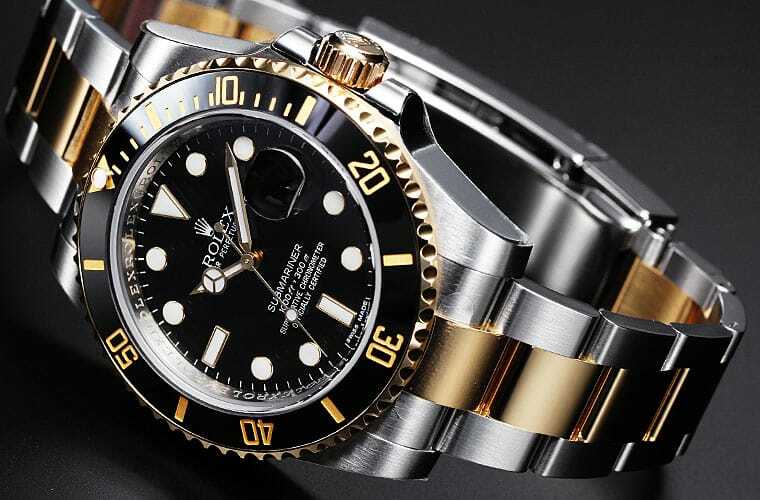 The Submariner story began in the early 1950s when Rolex director Rene P. Jeanneret, who was also an amateur diver, encouraged the company to develop a sports watch for scuba divers. Then, in 1953, Rolex managed to test their new 6200 model timepiece as Auguste Piccard and his son Jacques attempted a world diving record. Not only was the pair successful in taking their “bathyscaphe” to a new world record depth of 10,335 feet below the ocean’s surface, but the Submariner survived too. That same year, Cousteau made a documentary film about the Mediterranean Sea titled The Silent World, which ended up winning an Academy Award. Of course, Swiss manufacturer Rolex made certain the famous oceanographer was prominently wearing a Rolex Submariner in all of the film’s shots. Then in 1954, Rolex formally launched Submariner model 6204 at the Basel Spring Fair. The company claimed its new timepiece was water resistant and could withstand depths of 200 meters (or 660 feet): something no other watch company had been able to accomplish. This same model (as well as the 6205), which was a bit smaller than the first “experimental” 6200 model, was officially launched for sale to the general public in 1955. What made the Submariner perfect for diving — other than the ability to work at incredible depths under the water — is the rotating bezel keeps track of air time when divers are submerged. In addition, many of the other Submariner innovations were created to deal with the limitations of wearing a wetsuit and gloves such as the Submariner’s famous flip lock clasp (later known as “triplock”). Rolex continues to innovate, and upgrade their watch to have a perfect timepiece. Over the decades, Rolex has made only minor changes to its classic Rolex Submariner such as thinning out the crown guard and adding even more innovations such as a helium escape valve, a 31-jewel movement, extra luminescent hour markers (called “superluminova”), synthetic sapphire glass, a date feature (some with “Cyclops” magnifying glass for easier reading) and an even greater depth rating (300 meters of 1,000 feet). Starting in the 1970s, Rolex also transformed the Submariner into a more colorful timepiece. The first Submariners were all crafted in silver steel with black faces, but the more contemporary Submariner watches became available in yellow gold (or two tone) and even bright blue faces. In 2004, Rolex launched its green face (or LV as in “lunette verde”) to commemorate the 50th anniversary of the Submariner. Rolex uses a proprietary 904L stainless steel on its latest Submariner models. This ultra hard, corrosion-resistant steel is only used in aerospace and chemical factors. In fact, no other company in the world except Rolex has the economies of scale or expertise to use this shock-resistant material for everyday timepieces. Through the years, the Submariner has retained its rugged sporty appeal while at the same time being sophisticated enough to wear at board meetings.